Ghouls, goblins, and ghosts oh my! It must be time for Halloween in the Palm Beach and Boca Raton area. Even though we are still a few weeks off, you’re probably already invited to a few spooky parties, have your costume ready, and may have already binged on a little too much candy. While eating as much candy as possible when you were a kid was fun, eating an entire bag of chocolate to yourself now just screams stomachache. Instead of binging on candy this Halloween, try adding a little healthiness into this spooky holiday with an assortment of fresh food from Joseph’s Classic Market in the Palm Beach and Boca Raton areas of Florida. Instead of getting a stomach ache and struggling to fit into your costume, you and your family can enjoy a healthy Halloween with our fresh food. 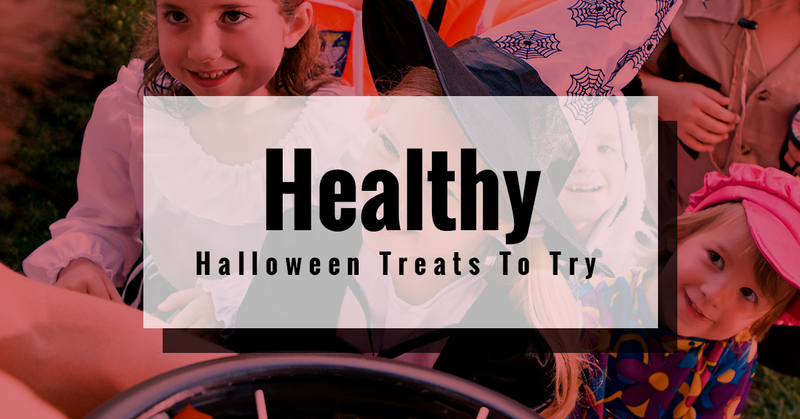 To help you and your family stay healthy this Halloween, we’re providing an assortment of fun recipes you can make together. While these treats may not be coated with sugar, your child will have a ball eating them and you’ll feel better knowing you’re feeding your child fresh foods instead of candy. These recipes aren’t just great for kids either you’ll enjoy eating these as well since they are chock full of vitamins, nutrients, and will be a scary, fun time for all as you create each delicious treat. The first recipe you can make with your family is the jack-o-lantern Fruit Cups. These fruit cups are delicious and nutritious. How many Halloween treats can say that? While they do require a little bit of shopping for fruit, you and your child will enjoy making these little jack-o-lanterns. You’ll need oranges for sure and whatever other fruit you and your family like. You can find an assortment of fresh fruits at Joseph’s Classic Market and perhaps they are even on sale if you take the time to peruse our weekly specials. You can use strawberries, blueberries, kiwi, and raspberries. Basically, you can choose any fruit as long as it’s able to fit in the orange. Once you’ve purchased the oranges, you’ll want to cut them like you would a jack-o-lantern. Slice off the top, remove the pulp, and take a knife to the face of the jack-o-lantern, then fill it with the fruit you chose. Living in Florida it doesn’t get very hot around this time of year, so make some candy corn popsicles instead of eating the candy. These popsicles look just like candy corn, but are 10 times more healthy because they are made of fresh food. These popsicles are made of yogurt, orange juice, and pineapple juice or if you don’t eat dairy, you can make the white portion with coconut. You’ll need popsicle sticks to create the popsicle, but the rest you can get at our gourmet store. For a healthier spin on candy corn, you’ll want to make sure the juices you choose aren’t full of sugar or sodium. Also, pick yogurt that’s low in sugar and high in protein such as Greek yogurt. You’ll want to measure out each juice to eight four ounces molds or 10 three ounce ones. You’ll divide them evenly and then put them on popsicle sticks carefully. Get eerie with these mummified apples. If your child doesn’t like apples, then this is a great way to get him or her to eat them and show that apples can be delicious and eerie. For this treat, you’ll need googly eyes that are edible and gauze too that aren’t edible. You’ll want to choose green apples because they look a little more spooky than red ones. You’ll be able to turn your apples into mummies easily by sticking on the googly eyes and covering it with gauze. This treat is also a great option for edible party decorations. Everyone loves chocolate and chocolate dipped fruit is even yummier. While this isn’t a spooky treat, it is a yummy one and a great substitute for eating instead of candy. You can get your chocolate fix in as well as your fruit one. You can use dried fruit or regular fruit. This treat is easy to make. All you need to do is melt your favorite dark chocolate and then dip it in dried fruits such as papaya, oranges, mango, or apricots. If you don’t like dried fruit, then just use clementines to stay in the black and orange spirit. Lastly, you can make dark chocolate bark with only a few ingredients. Instead of eating tons of chocolate bars, you can make a dark chocolate bark with nuts and other healthy ingredients thrown in. All you need is the dark chocolate for sure, whichever is your favorite. Then you’ll need nuts, dried fruit, brown rice cereal, and anything else you want to add in there. For taste, you should use vanilla extract, ground cinnamon, or honey for organic sweetness. Stay tuned for our next blog to learn more about how you can have a healthy and spook-tastic Halloween.